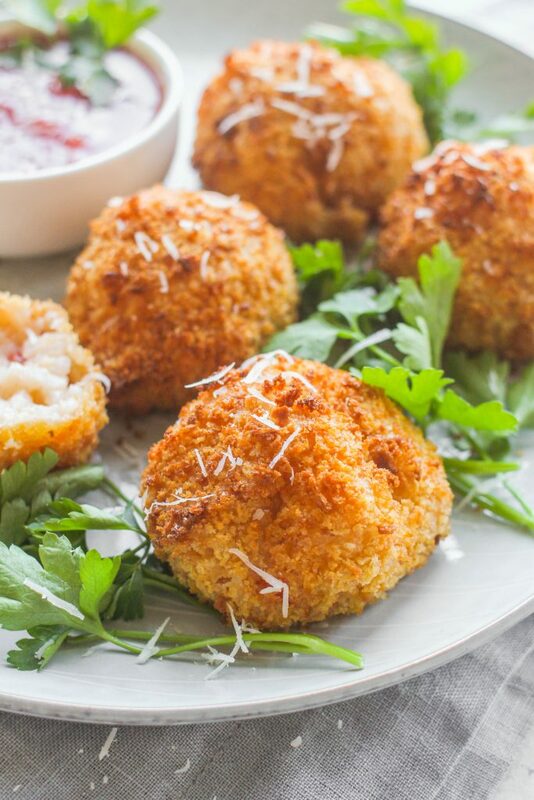 Traditionally made with leftover risotto, Arancini are deep fried risotto balls usually filled with cheese, hearty veggies and/or meat. Today’s recipe highlights a creamy crab & parmesan risotto with a panko crust, healthfully fried in an air fryer. Today’s recipe is probably one of my favorites from my digital culinary tour of Italy. 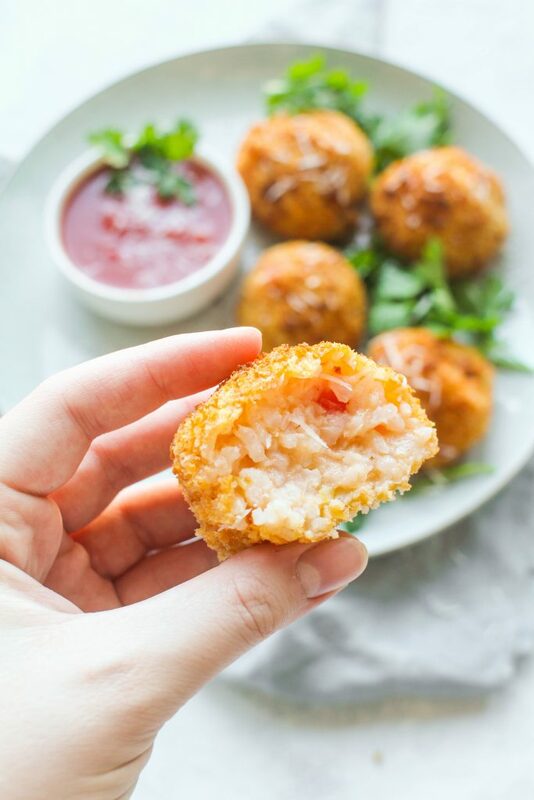 It’s got everything I love all wrapped up in one delightfully crunchy ball: creamy risotto, salty crab and parmesan, and tomatoes wrapped in a crispy panko crust. Arancini is a traditional dish of southern Italy, although you could most likely find it all over the country. It’s typically filled with cheese, a hearty vegetable like peas, and some type of ham or meat. Arancini is also typically deep fried. A couple of years ago, my in-laws gifted me with an air-fryer. To be completely honest, it wasn’t on my radar of kitchen appliances and didn’t really know what to use it for at first. After a little experimentation I found that it’s most useful for pre-made frozen items like french fries, chicken fingers or patties or breaded shrimp. We don’t eat these types of foods very often, but when we do, the air fryer is great for getting that nice crispy exterior without too much added oil. 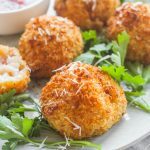 Since arancini is typically deep fried, I thought, why not try to use the air fryer?! And look at that beautiful golden brown crust. They came out just beautifully. The trick is combining the panko crumbs with olive oil, and the hot temperature will heat up the oil enough to crisp and brown the breadcrumbs. For the risotto part of this dish, I used my butternut squash risotto recipe and left out the squash. I added in tomatoes and crab meat and spread the entire mixture onto a large sheet pan to cool. If you try to form risotto into balls while it’s still hot, one it’ll burn your hands, and two, it’ll just fall right apart. You want nice, cool risotto. Thats why in Italy, arancini is typically made with leftover risotto, the day after it’s made. You have that option here– make the risotto the day before so it has plenty of time to cool and become a little more solid. There just isn’t anything better in this world, I think, than creamy carbs combined with cheese and seafood. So far on our Tour of Italy, we’ve tasted Pasta alla Norma, Eggplant Caponata, and Pesto alla Trapanese. 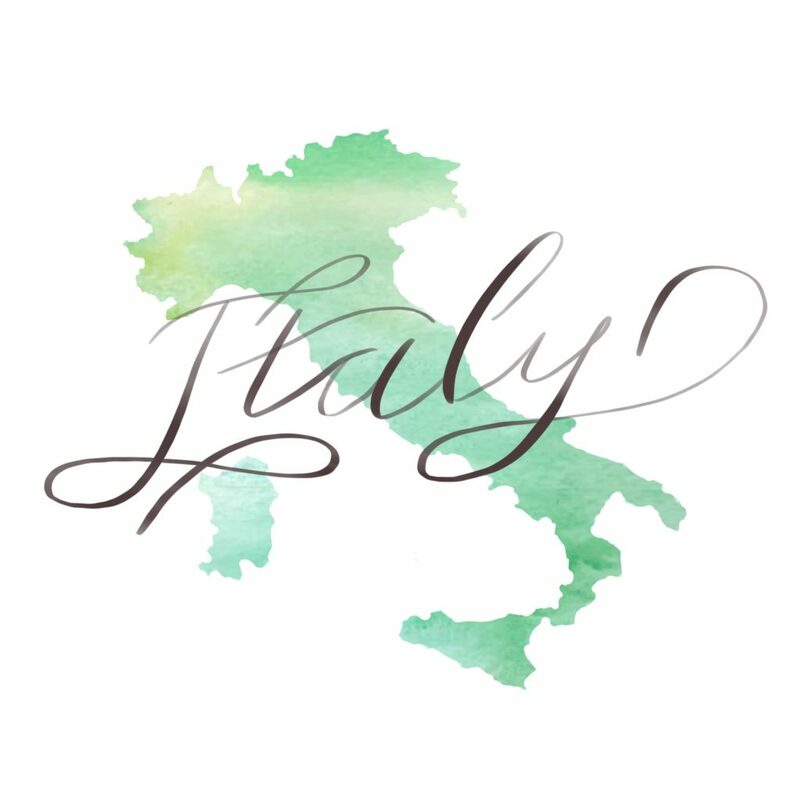 Be sure to check these recipes out if you’re interested in more traditional Italian favorites! In a large pot, melt the butter over medium heat. Add onion; cook and stir for 2 minutes until the onion begins to soften, then stir in the rice. Continue cooking and stirring until the rice is glossy from the butter, and the onion begins to brown on the edges, about 5 minutes more. Add the minced garlic. Pour in the white wine; cook, stirring constantly, until it has evaporated. Stir in broth 1/3 cup at a time, until the chicken stock has been absorbed by the rice, which will take a few minutes per addition. It'll take about 15-20 minutes to add all of the broth. Finish by stirring in the Parmesan cheese, tomatoes and crab meat. Spread the risotto onto a large sheet pan to cool for several minutes. Preheat an airfryer to 400°F. In a medium bowl, stir together the bread crumbs and the olive oil. In a small bowl, gently beat the eggs. Form the risotto into balls, using 2 tablespoons for each one. Dip the risotto balls into the beaten eggs, then coat in the panko mixture. 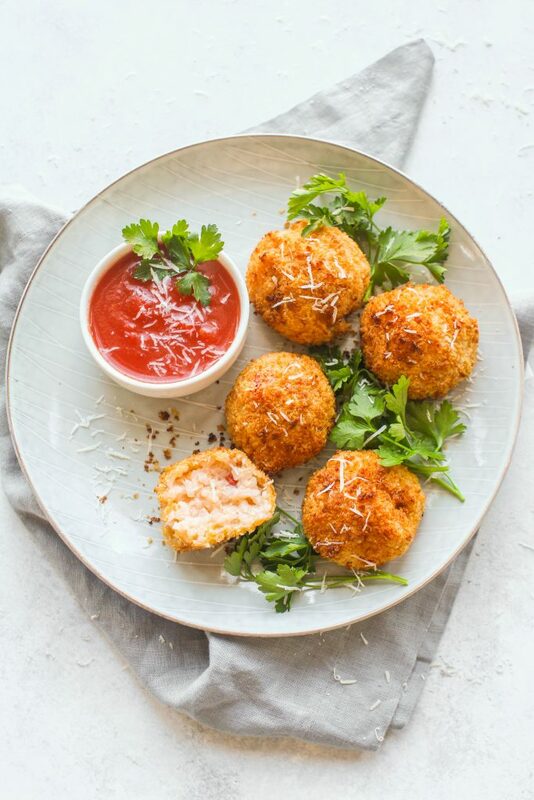 Working in batches, place the arancini in the airfryer in a single layer and cook until golden brown and crispy, about 10 minutes. Transfer to a plate and serve with marinara sauce.